PLEASE TO MEET YOU, MEAT TO PLEASE YOU! for just $9.99* with any drink purchase including soft drink! 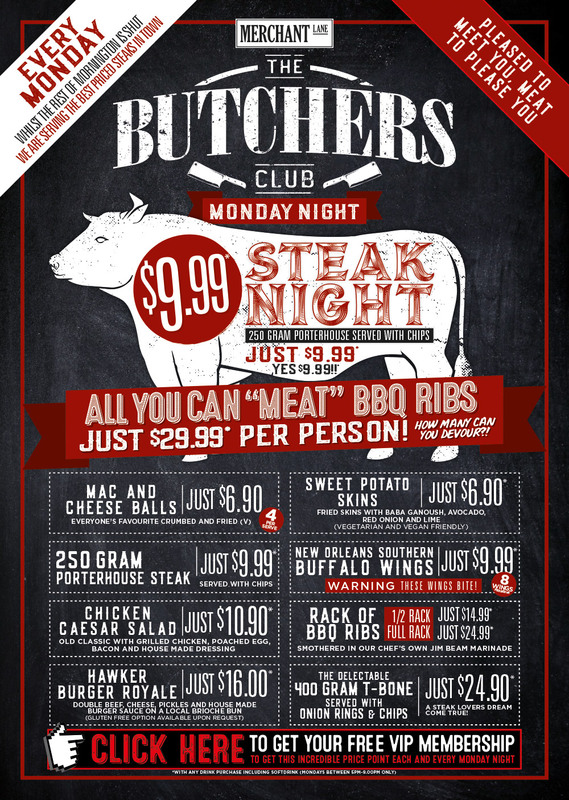 Available every Monday night from 5pm – 9.30pm! 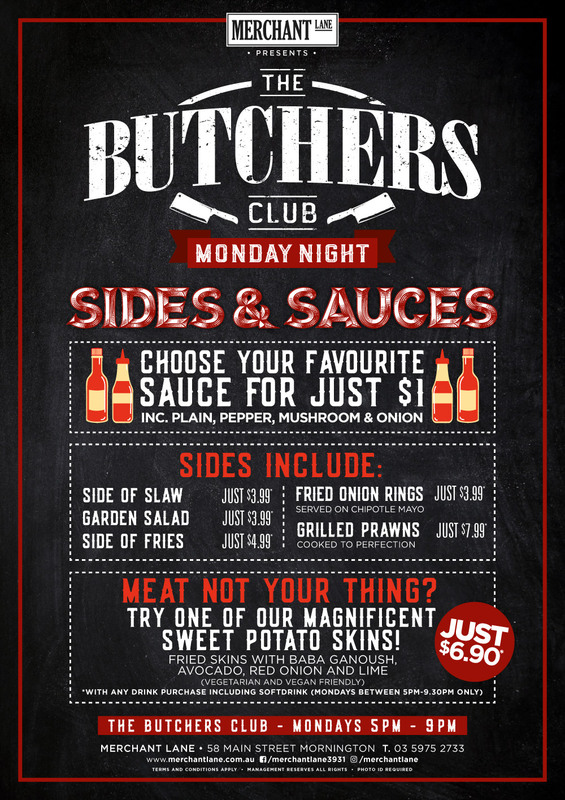 CLICK HERE AND BECOME A BUTCHERS CLUB MONDAYS VIP TODAY!